Let me guess—you’re looking for Hestu, right? Well, it can’t be helped! 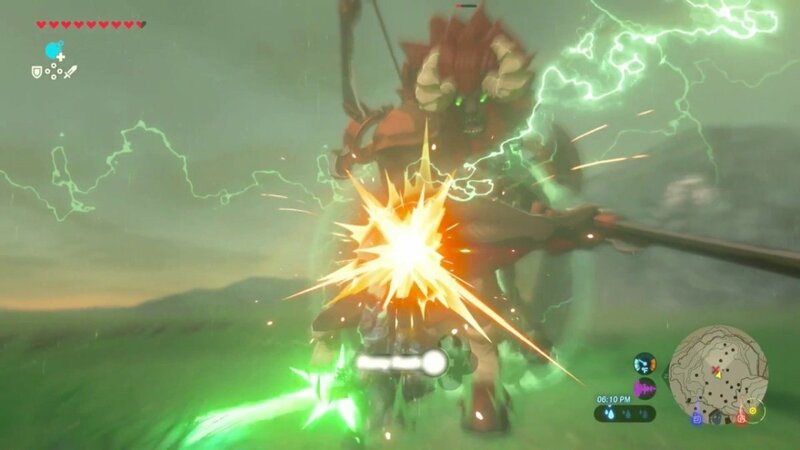 After all, Hestu is the only being in ‘The Legend of Zelda: Breath of the Wild’ who can increase the number of slots of your weapon, bow, and shield stashes. However, in exchange for additional inventory slots, you must provide Hestu with Korok Seeds, which can found scattered all over Hyrule. 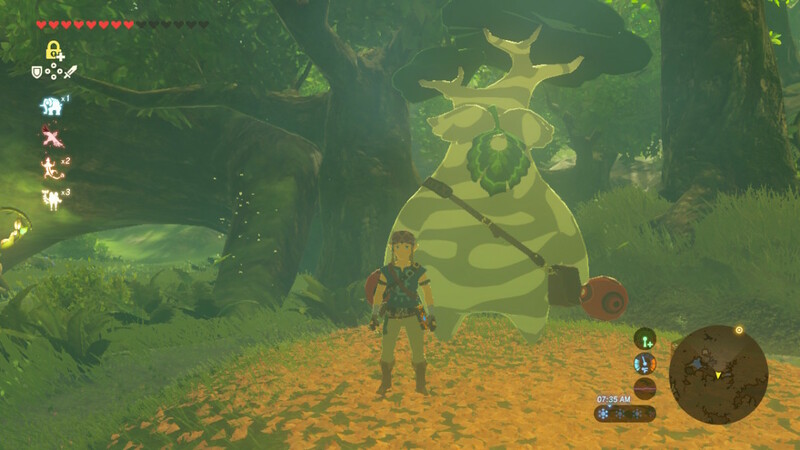 In the whole course of the game, Hestu can be found in at least three locations. 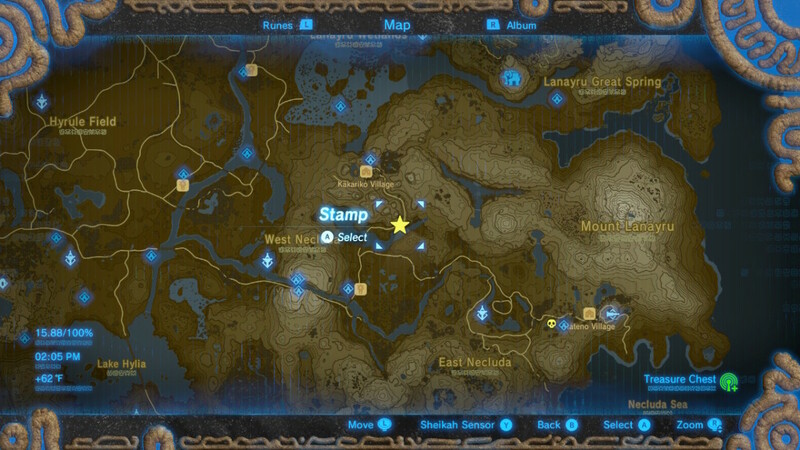 While these locations are easy to spot, finding Hestu can actually become a chore if you’re not fond of traversing the main roads of Hyrule. Moreover, Hestu’s sense of direction is questionable. He tells you that he’s going straight back to the Korok Forest when in fact he’s going somewhere else. And that’s where this guide comes in! 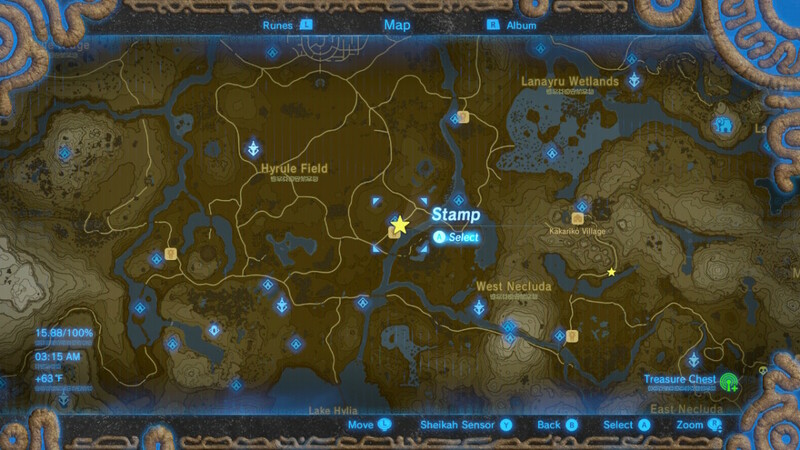 The purpose of this guide is to lead you to Hestu’s definitive whereabouts. 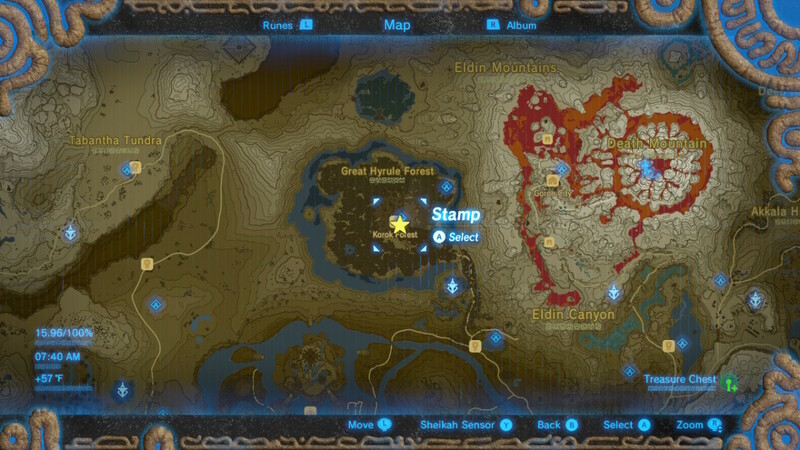 If you’re intent on maxing out your weapon, bow, and shield stashes by trading-in large amounts of Korok Seeds with Hestu, then I’m sure you’ll find this guide useful. 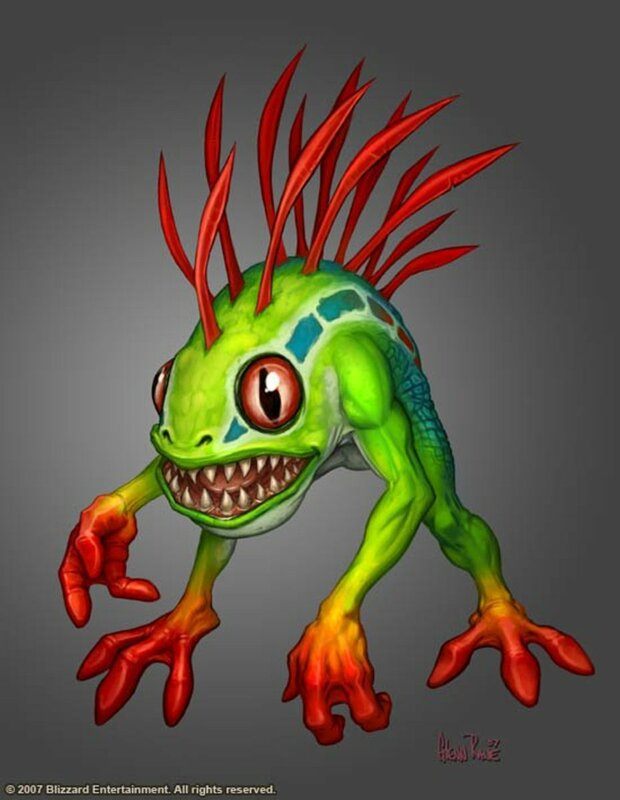 Shaka-kala! You need to find Hestu in order to increase the slots of you weapon, bow, and shield stashes. The first place where you’ll find Hestu is right beside the tree along the main road south of Kakariko Village. The aforementioned road can be accessed by passing through the southeast entrance/exit of Kakariko Village. Traversing the winding rocky pass between the Pillars of Levia and Bonooru’s Stand until you reach the cliff near Lake Silea will lead you to the tree where Hestu is situated. 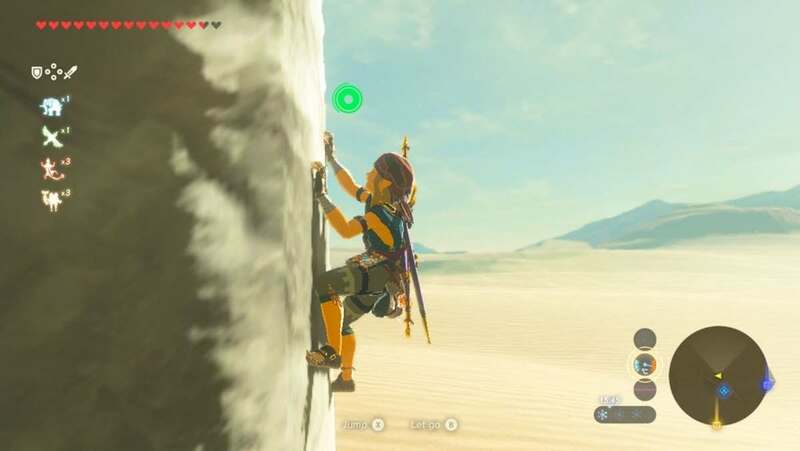 Alternatively, you could also paraglide your way from the Pillars of Levia or Bonooru’s Stand until you reach the area where Hestu is situated. Initially, Hestu will act surprised due to the fact that you are able to see him unlike the other denizens of Hyrule. Then, he will tell you that his precious Maracas have gone missing. You must then complete “The Priceless Maracas” quest in order to bring back his Maracas and restore his slot-upgrading magic. The “Priceless Maracas” quest requires you to retrieve Hestu’s Maracas from a group of bokoblins. The said group is situated directly east from Hestu’s location. 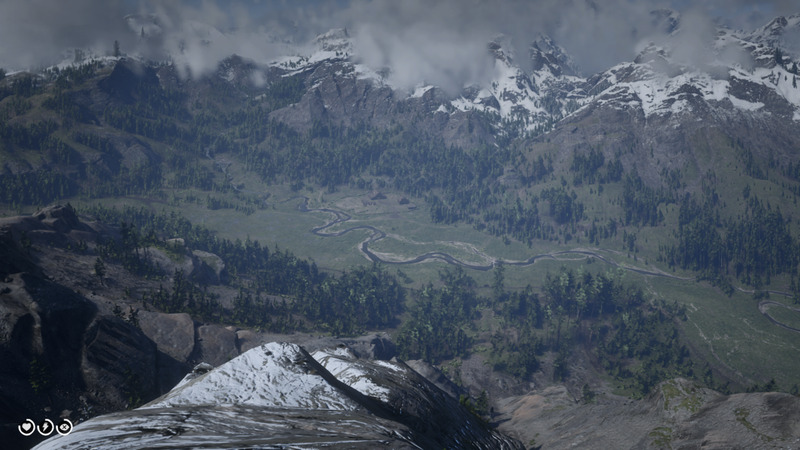 You’ll be able to spot them once you see the rocky arch leading to their camp. 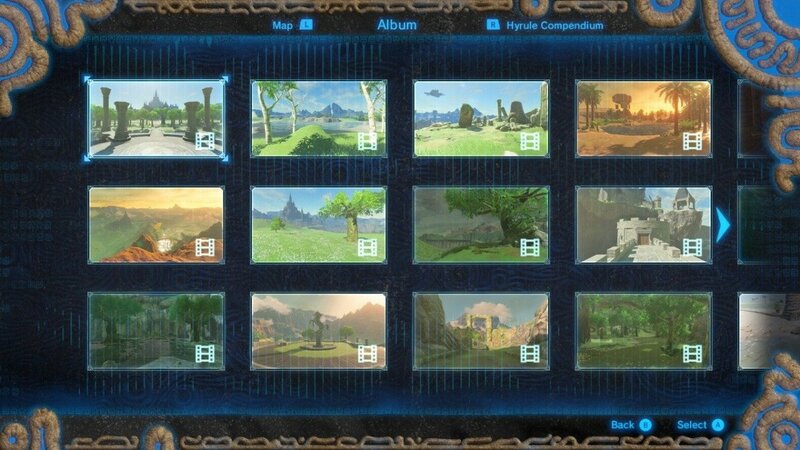 Simply eliminate all the bokoblins in the said camp and you’ll be able to reveal the treasure chest that contains Hestu’s Maracas. 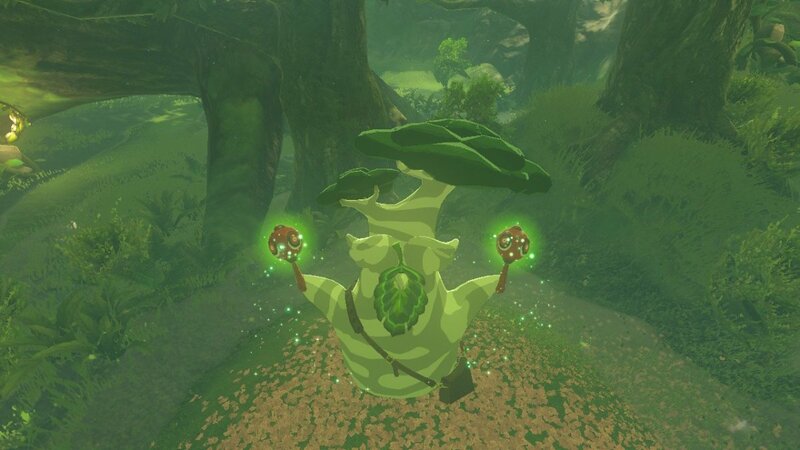 Once Hestu gets a hold of his Maracas, he’ll be able to increase the number of slots of your weapon, bow, and shield stashes. You can ask him to upgrade any of your weapon, bow, or shield stashes twice before he tells you that he’s moving on north to the Korok Forest. After telling you that he’s moving on north to the Korok Forest, Hestu doesn’t actually return to his home. Instead, he makes a detour to the road near the Riverside Stable. On this new location, he can be found standing right beside the tree along the main road just past north the Riverside Stable. The aforementioned tree where Hestu is situated is right across the Wahgo Katta Shrine on the opposite side of the road in between the Hylia River and the Whistling Hill. This time around, you can ask Hestu to upgrade any of you weapon, bow, or shield stashes by up to six times before he decides to continue traveling north towards the Korok Forest. If for some reason you don’t find Hestu near the Riverside Stable after you meet him in his first location, you might find him near the Woodlands Stable or Wetlands Stable. Otherwise, he might already be in the Korok Forest. After you meet Hestu in his first and second location, his third and final location will be at the Korok Forest within the Great Hyrule Forest. 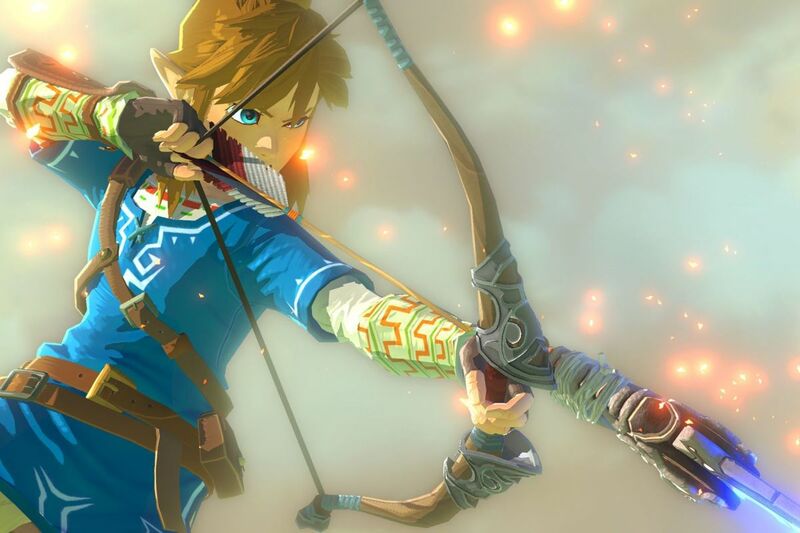 He can be found standing on a mound directly east from the pedestal of the Master Sword. In order to reach the Korok Forest, you have to make your way through the Lost Woods without getting lost. Since the Korok Forest is Hestu’s final location, he won’t move around Hyrule anymore once he makes his stop there. 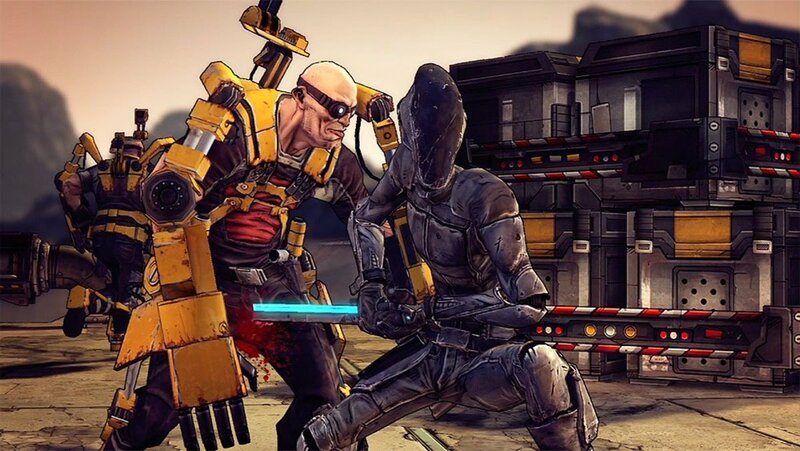 He will stay in this area permanently for the rest of the game. For quick item slot upgrades, you can access the Korok Forest by teleporting through the Keo Ruug Shrine. Be sure to activate the said shrine once you make it past the Lost Woods and into the Korok Forest. How many Korok Seeds have you collected so far?